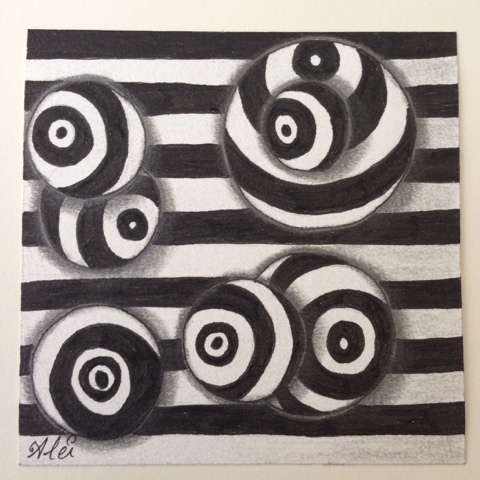 For the Diva Challenge #277 with the theme 'round in circles' I used Striping. And finally I could make the tile of which I made a sketch already a while ago. I saw it on TV as the background of The Voice singing contest. Really zen to create this one. éénvoudig, apart, origineel en heel mooi! Great 3D effect from your shading, well done!